NOTEify - Take notes during calls! ~ Android Forever! NOTEify - Take notes during calls! Welcome to NOTEify, a helpful application that will be useful for creating a clear schedule and be reminded of all the tasks you need to do in order to live your life in a more organized way. Sync your contacts, create color notes and have them show during calls, so you always know what you want to say to them. You can drag around the notes to hide them or have them present, whatever feels more comfortable. In addition, feel free to send the note to other contacts if you find it useful. The design of NOTEify is great, everything is minimalist and clear and NOTEify becomes a helpful and simple tool for professionals and also people who merely want to organize themselves better. NOTEify is the perfect app to use when you want to get reminded about specific information or discussions with your contacts. -Showing notes during in or out calls. -Showing the contact you are talking to with his full details during the same call. -Adding a new contact with his full details for an unrecognized number during the call itself! -Changing and designing your own notes color and text color for individual contacts or a whole group of contacts. -Notes can be minimized or be dragged along the screen during call for maximal convenience. 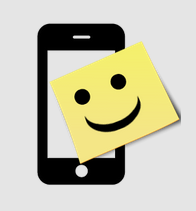 -Notes saved within the app or during a phone call will also be saved to the other contacts app on your device. -This app is equipped with its own designed widget for maximal convenience to activate or block notes from being showed during a phone call.